and All You Can Eat Buffet! and order it so often, we just had to name it after them and make it an official menu item. 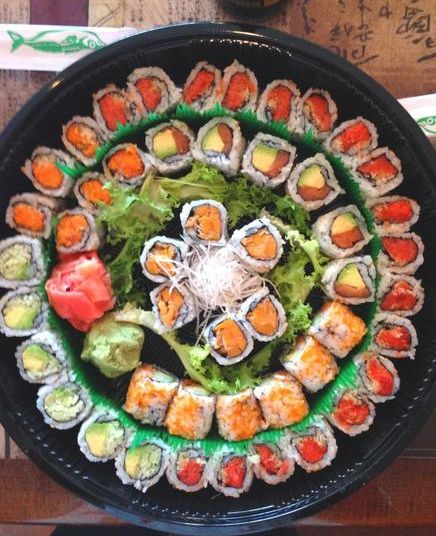 If we think that a customized roll by a customer is pure genius, of course it'll end up on the menu for others to enjoy! Having a night out with family or friends? Come enjoy the night while having a delicious buffet! $24.99 per person, including children ages 3 and up. 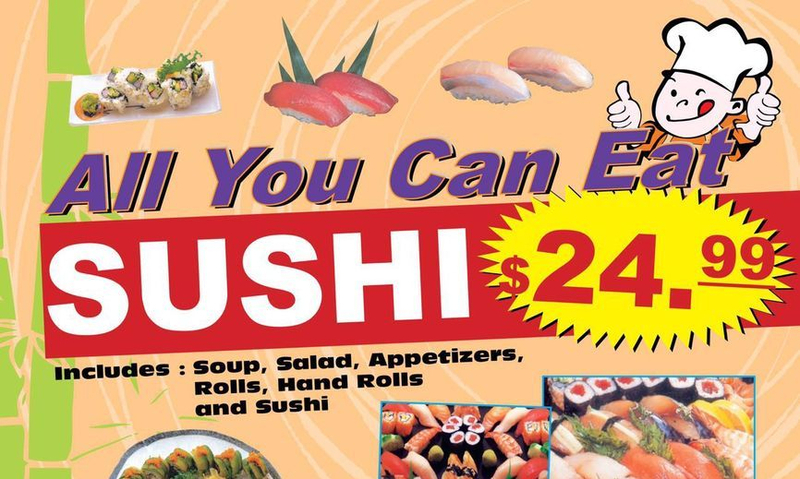 Choose from a provided list of UNLIMITED soups, salads, appetizers, rolls, hand rolls, and sushi! DINE IN ONLY. Please finish all food! Don't waste! Cannot be packed for to-go!